Redmi Note 5A comes with 5.5 inches IPS LCD Display with 720 x 1280 pixels screen resolution. It has a 13 MP camera on the back and 5-megapixel front camera for selfies, featuring with HDR, Panorama, Burst mode, Face recognition, Real-time filters. Redmi Note 5A Price BD is 12,700 BDT. Redmi Note 5A powered by 2 GB of RAM and Quad-core 1.4 GHz processor. It comes with 16 GB internal storage which upgradeable up to 128 GB by a standard MicroSD card. This dual-SIM phone supports two nano sim. The smartphone has a 3080 mAh Li-ion battery. Redmi Note 5A powered by Android 7.0 and no java supported. The dimension of the phone is 153 x 76.2 x 7.55 mm and gross weight is 150 gram. This smartphone comes with two colours gold and dark grey. Infrared, Gyroscope, Accelerometer, Proximity sensor, Ambient light sensor, Electronic compass, Hall sensor available on this smartphone. Chinese multi products maker xiaomi co-founded by eight partners on 6 April 2010. Xiaomi logo stands for “Mobile Internet” (MI). Currently, they produce smartphone, Tablet, Smartphone accessories, network routers, TV, Laptops, and others MI home appliances. The company CEO said xiaomi never compromise the component quality and performance compared to other premium smartphones. He also interested to create remarkable hardware, software, and internet services for and with the help of their Mi fans. Xiaomi announced that in 2014 they sold 61 million phones and become a global brand by expanding their business in different countries. In August 2011, Xiaomi has officially launched its first Xiaomi Mi1 smartphone. Android-based firmware MIUI also was launched On 16 August 2010. Xiaomi has started their journey in Bangladesh on 10th August 2016. For their smart design, rich features and battery durability “Xiaomi becomes a brand name like Samsung. Xiaomi becomes a popular people’s choice brand in Bangladesh there is no doubt. Hope you are satisfied with our Redmi Note 5A Price BD, specifications, offers & reviews. 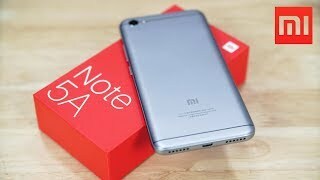 If you are one of the user of Redmi Note 5A please don’t forget to drop a review by the above reviews tab. It is very important to us to know the performance of the smartphone.